No Geoff this week – on holiday in Copenhagen. Perhaps he’ll do a lager blog. About 18 months ago Waitrose started selling 50cl bottles of a fino from Gonzalez Byass called Delicado, apparently sourced from Tio Pepe soleras. I tried a bottle but wasn’t much impressed. I’ve since read a good review which makes me think I should try again. 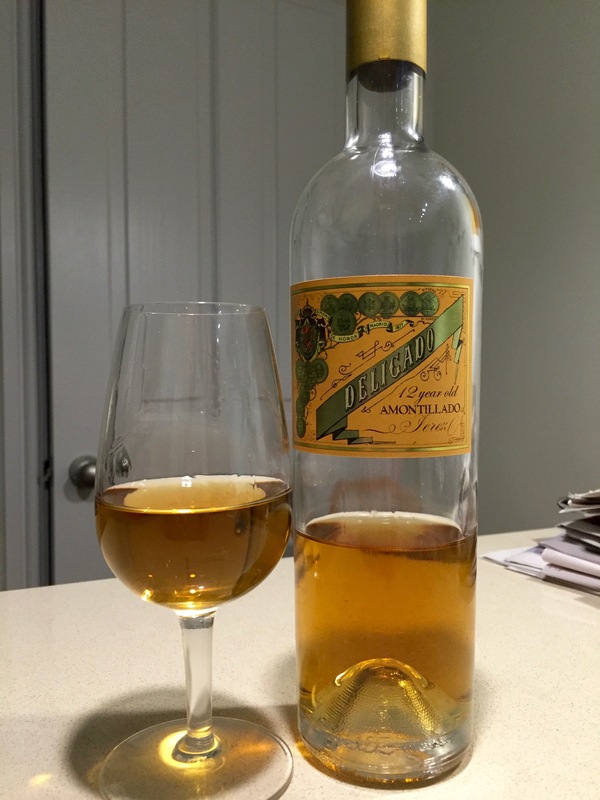 My impression was that the wine didn’t sell very well – £14 for 50l is a biggish step up from Tio Pepe itself – but I must be wrong since an amontillado, also called Delicado, has turned up, 12 years old, same price, similar label. No information on the source. There is also a PX but no sign of that in Waitrose. This was pretty good, really a fino-amontillado, pale yellow, complex nose, lots of depth and length. Not quite as good as an Equipo Navazos offering but a lovely drink comparable, in quality terms, to the Dos Palmas we blogged on a while ago. I’ve probably got more Rioja in the house than anything else so we opened a couple this weekend, despite it not being Angie’s favourite red. 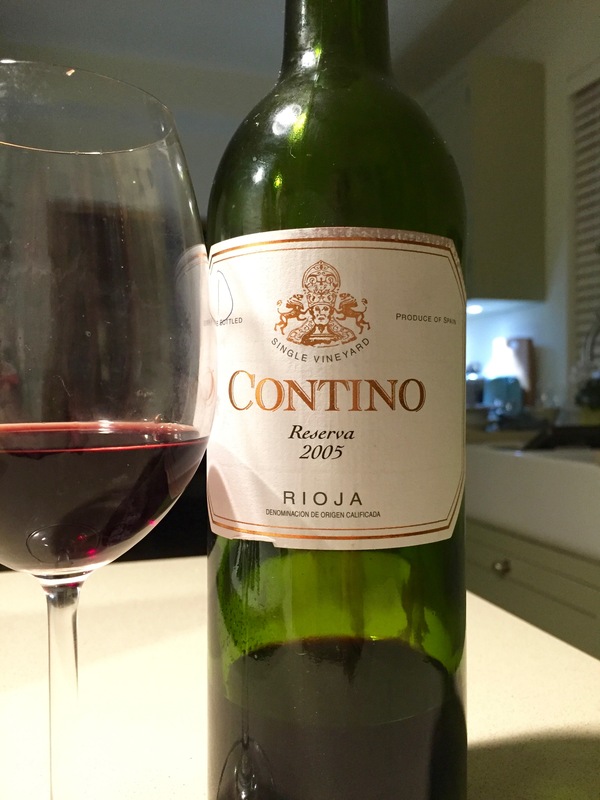 The Contino 2005 Reserva (WS £22 out of stock) was another well reviewed wine (in a recent Decanter) and is now drinking very well. Completely integrated, very savoury and rich, not especially ‘old Rioja’ in style which I know puts some people off. Went very well with some homemade pizza bianca. 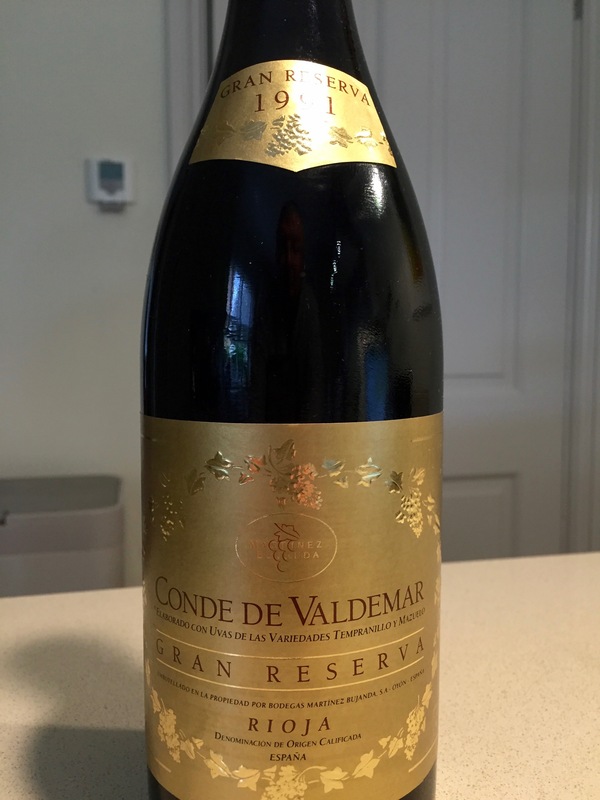 Finally on Sunday, to accompany a pork and cider casserole I opened a Conde de Valdemar Gran Reserva 1991 (still available, only £12 each if you buy two from MWW). This is a very good price for a 24 year old GR, provided it’s any good. 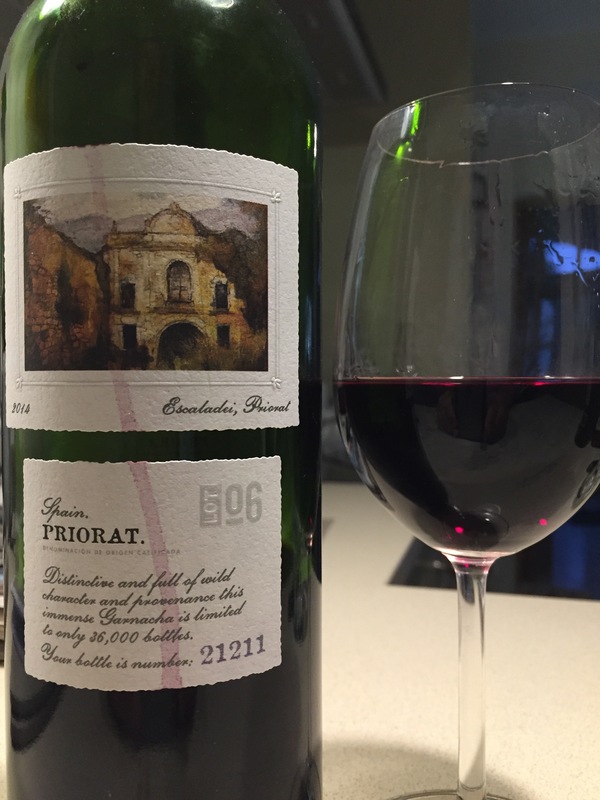 Reviews on Cellartracker are both positive and negative but I thought it was very nice. Thin in the mouth in the way that old Rioja often is, as savoury as the Contino, rich tasting. A bargain. The New World has established – and developed – some grape/country or area links that have become standards. This has not been the case in Europe as the grape variety often plays an anonymous role vis-a-vis the region. Hence, we know a New Zealand Sauvignon but do the public link Pouilly Fume with Sauvignon? The wine enthusiast might link Savannieres or Montlouis with Chenin Blanc but the ‘normal’ punter is more likely to know the style of South African Chenins. Well done to the New World. And this link is what makes it easier for the supermarkets to sell product. Hence Aldi’s Lot series. We tried Aldi’s South African Chenin, made by Bellingham, which retails at £9.99. 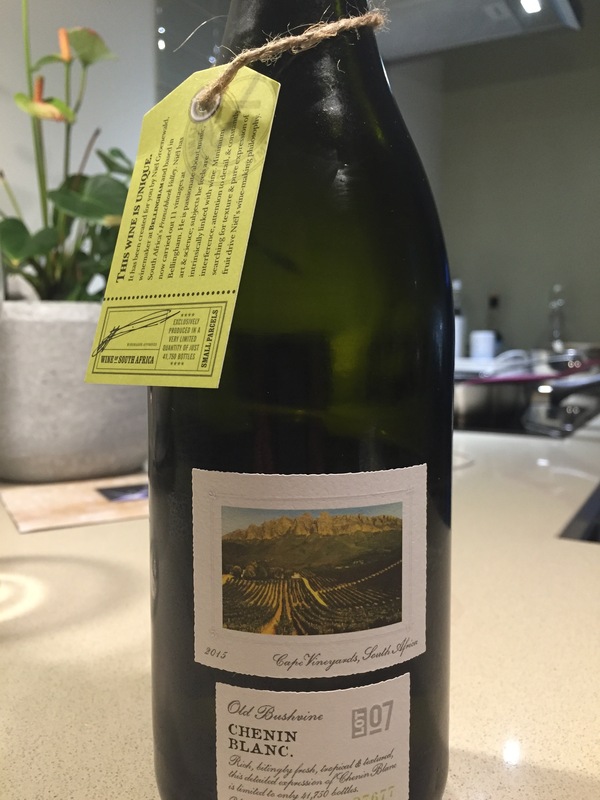 The colour was a distinct lemon yellow with no hint of green, suggesting full ripeness and a warm climate. There was some citrus on the nose but the abiding impression was one of neutrality, with no particular significant varietal notes. On the palate, there was a pleasing richness which went with the acidity, slight fruit sweetness which preceded an almond finish and a slightly hard edge. It was medium in length. It was a pleasant wine which maintained its dryness rather than a Loire Chenin, which can be fuller and slightly sweeter. We felt, at £9.99, it was a little over-priced but a well-made wine. [Richard: some astute marketing by Aldi because once you’ve tried a few of the Lot series you want to try the rest. I rarely drink either chenin or South African wines so can’t offer any great insight. Geoff’s notes mirror my own. The wine was just as good on day 2 – a little more mellow as you might expect. Nice drink but something I won’t be repurchasing. I also tried Lot 10 and Lot 06. The former is a Clare Valley Cabernet made by Taylors, not a maker I know. We don’t usually feature the back label but as I was trying the wine I was struck by the varied description of the aromas. Why? Because I couldn’t smell a thing apart from ‘generic red wine’. Add in a boring one-dimensional taste and you end up with the worst bottle in the series so far. And the phrase ‘wonder at its development through to 2022’ is misconceived ad-speak at its worst. I can’t see the wine going anywhere. Being a wine-maker in Bordeaux must be daunting. There are: 7,400 different wineries/vineyards; over 10,000 different wines produced each year; 450m. bottles produced annually, the majority of which (71%) sell for between 3 and 15 euros, whilst 26% sell for less than 3 euros per bott. How do the growers/makers create a unique style? 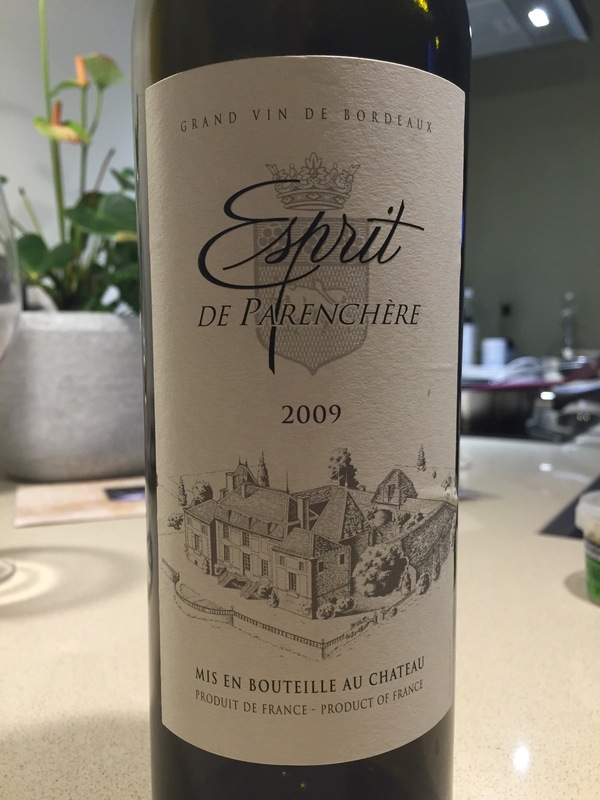 With that in mind, how does Esprit de Parenchere 2009, a Bordeaux Superior, measure up? Very well, we enjoyed it. A magenta rim and a black core proclaimed its intensity – as the legs heralded its 14% alcohol. The nose was rich, slightly minty with an obvious dark fruits aroma. Our first impression of the palate was one of dryness and tannins rather than fruit – which suggested it had already peaked. However, the effect of its being exposed to air and slightly warmer started bringing out some agreeable fruitiness whilst mellowing the tannins. This was a well-made, rich wine which had both fruit and a structure (65% Cab Sauv, 35% Merlot) that invited another mouthful. Our decanting it for longer would have helped but, despite the relatively brief exposure, we thought it very drinkable. Aldi, again. 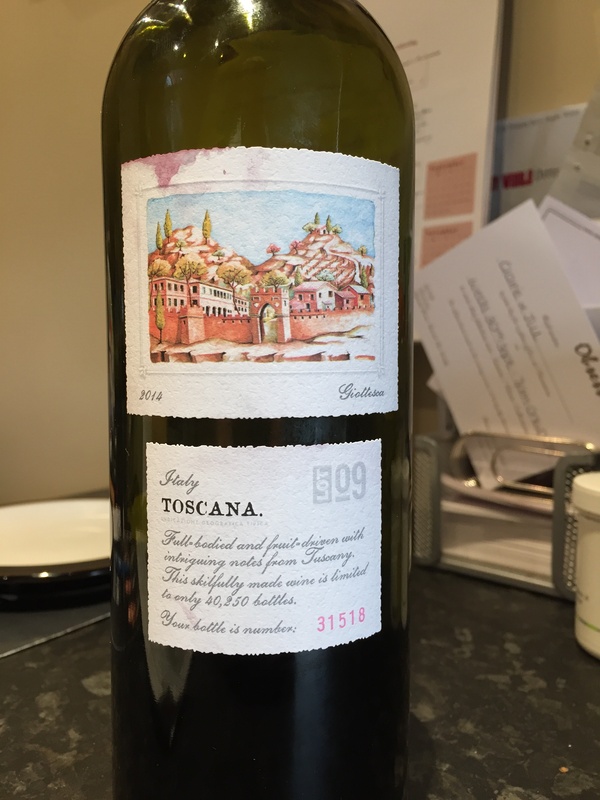 This time Lot 9 (and 08, see below) , a Toscano red wine of 13% from 2014. This originates in the east of Italy, opposite the isle of Elba and an able wine it was too. Dense red with a ruby rim and the tell-tale tears of alcohol, it smelt of vanilla and brambles with a slight menthol aroma which faded after time. The vanilla smell is appealing and carried forward its sweetness into the taste, making it a very easy drinking, commercial but well-made wine. The low tannins also added to its attractiveness. After having been disappointed more then a few times with Chianti, made not far inland from here, we were both pleasantly surprised by its style. Good value at £9.99. [Richard: from the Maremma so not a classico. One of those rare wines it is impossible to find out anything about on the internet. Not even on Aldi’s website, as of a few days ago. The neck tag – which I’ve not kept – gave the grapes as petit verdot, merlot and sangiovese, so not permitted grapes either. I’m pretty sure the shelf label calls this a supertuscan. That’s not a recognised designation but is usually taken to mean wines of a much better quality (and cost) than this. We’ve tried several of the Lot series so this was a natural purchase, aided by that other rarity where Aldi are concerned – no queue. Lots of vanilla, possible a bit too much, which made me wonder if oak chipping had been used but, nevertheless, an easy drinking wine with a bit of class. Would buy again. Majestic, now under their new CEO, are disposing of some stocks and it seems to be on a store-by-store basis. 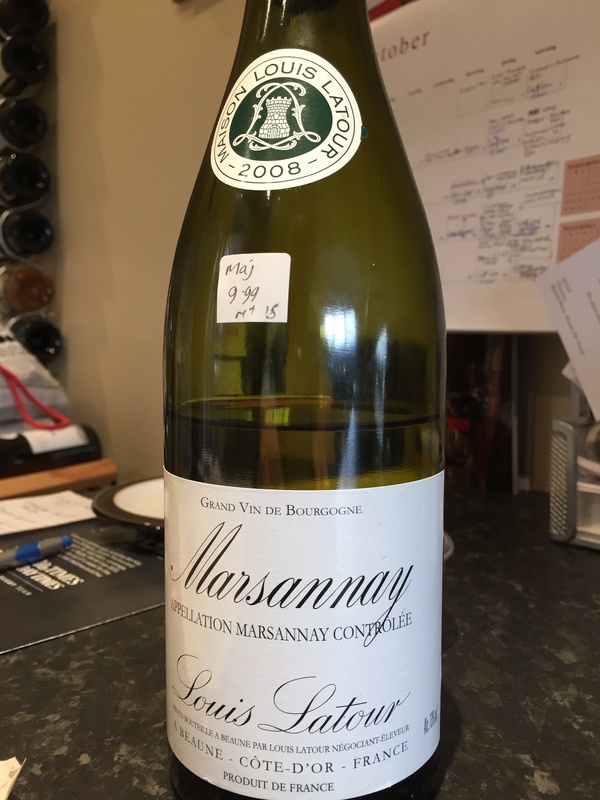 My local store had got some Louis Latour Marsannay, an 08 and 09, for £9.99 ea. We tasted the 08 last Sunday. Marsannay is the first AC south of Dijon – so right at the top of the Cote d’Or and produces all three colours of wine, red having replaced the rose in popularity. The white production is relatively small and, to be truthful, I wasn’t expecting much. The name Louis Latour was the clincher for me. It was still citrussy-fresh whilst, at the same time, having some depth on the nose. This followed the pale green colouring which was clear, bright and showing some alcohol on the sides of the glass. 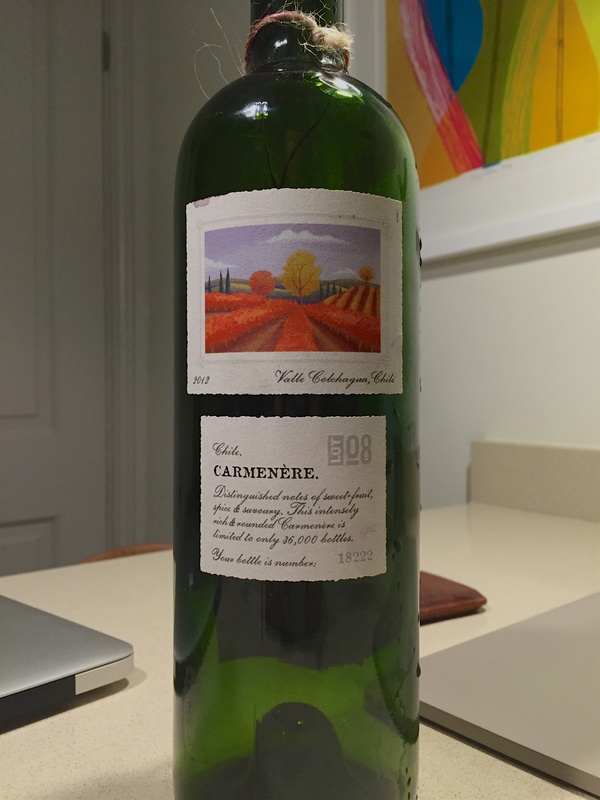 The palate was weighty and rich with plenty of acidity to maintain its surprising youthfulness. 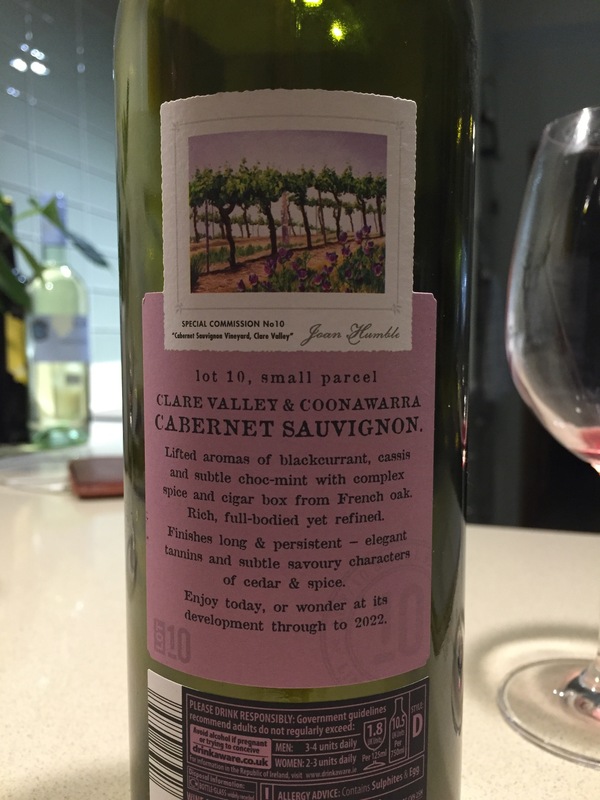 It was a big mouthful of serious wine – not particularly complex but well-made and great value at under a tenner. The normal price was £16 and I wouldn’t have begrudged paying that for it.